Description: Do you have a dream of flying in sky like a bird? Now with this mod your dream become reality. 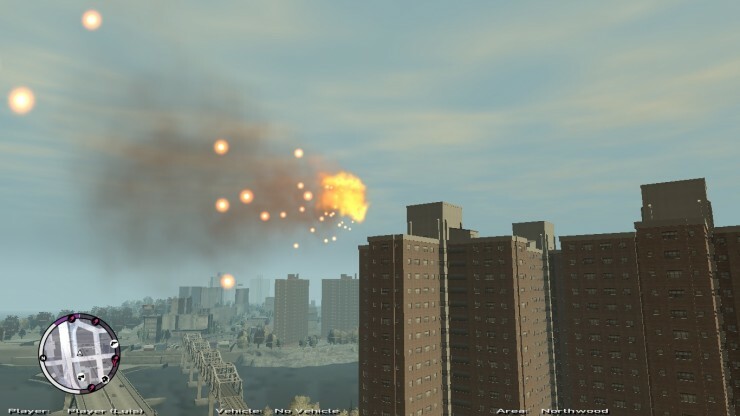 You can fly all around Liberty City, not like bird but like burning fireball. F + T ---> Back to normal Niko / Johnny / Luis. You need Scripthook to make this mod work.